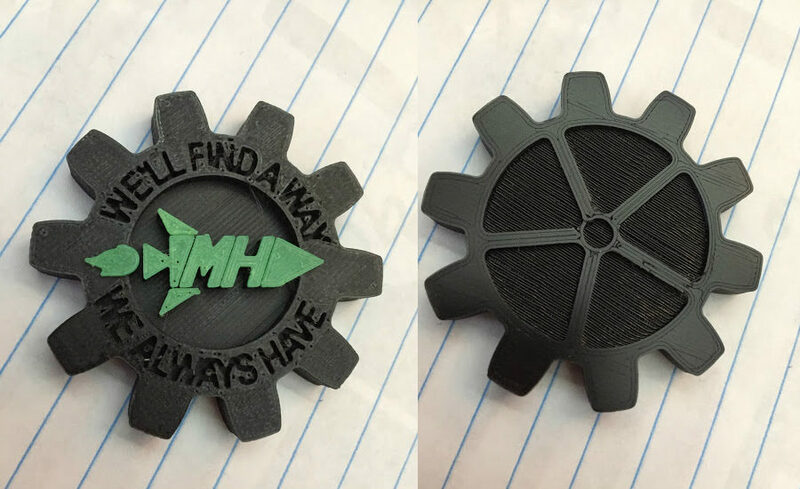 Description: "MH" are my initials and the quote, "We'll find a way, we always have," is from the movie Interstellar. The coin's shape is inspired by the large, yellow plastic gears used in the 2017 FIRST Robotics Competition (FRC) game, Steamworks (Google "Steamworks Gear"). The coin here is 2 inches across.